You Are Here: Home > 2019 INFINITI QX50 vs 2017 INFINITI QX50 | What’s the Difference? 2019 INFINITI QX50 vs 2017 INFINITI QX50 | What’s the Difference? Every new generation tends to bring more to the table. The 2019 INFINITI QX50 is definitely doing that. How does it compare to the 2017 QX50 generation? Here’s an update. The 2017 QX50 rides on a traditional front-engine, rear-drive platform. 2019 models have a transverse front engine and a front-drive platform. With the new build, almost every dimension has grown. The body is wider and higher. Passenger volume has grown from 97 cu.ft. to 106 cu.ft. There’s much more wiggle room for front and rear passengers. For instance, the 2019 cabin has three more inches of rear legroom and two more inches of rear headroom. Interior cargo volume has grown from 18.6 cubes to 31.4 cubes. Likewise, the maximum volume has grown from 50.1 cubes to 65.1 cubes. 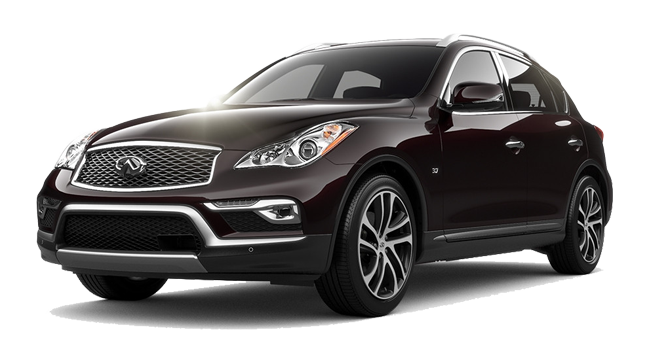 The 2017 model has its share of upscale amenities, but the new QX50 offers even more. The level of premium materials is higher. Whereas the previous model has power chairs, the new one has added power-tilt front cushions. It also has sliding armrests rather than the previous stationary ones. A power liftgate and push button start are new standards. The revised InTouch dual-screen infotainment has two screens, bringing the total number of screens in the cabin to three. When it comes to choices, three trims with a few packages replace one 2017 trim with many packages. While this VC turbo doesn’t produce the same horsepower as the outgoing 2017 engine, drivers won’t be bothered by this. For one thing, it has more torque and delivers it at a lower rpm. For another, steering is an electric power-assisted system instead of the previous hydraulic one. Fuel economy is 17 mpg city and 24 mpg highway on the 2017 model. The new model earns 24 mpg/city and 31 mpg/highway for an overall 27 mpg combined rate. U.S. News and World Report writes that the 2019 QX50 is more efficient than nearly every class rival. In addition to the turbo’s lower fuel use, the SUV has improved its aerodynamics. The drag coefficient reduced by six percent. Refined handling can be even more so with the available adaptive power steering, new for 2019. The new QX50 Pure, which replaces the base 2017 QX50, has pedestrian detection and a forward collision warning with forward emergency braking. Luxe models add a blind spot monitor. Essential editions have a package with lane departure prevention. The Essential trim level has INFINITI Around View Monitor with moving object detection. All of these systems were offered in packages on the 2017 model. 2019 QX50 drivers will appreciate the new ProPilot Assist. It combines adaptive cruise control with lane departure prevention technology to allow the driver to simply monitor progress on the highway. Shoppers will be glad to mark the return of the popular INFINITI two-row SUV. 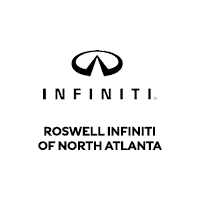 Find your 2019 INFINITI QX50 at Roswell INFINITI.